Australia is known for its epic coastline. 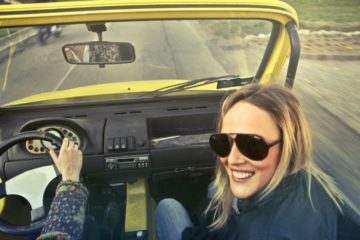 A road trip along the Australia coastline can give you an experience. One of the best drives along the Australian coastline is driving from Brisbane to Port Douglas. The trip takes you along over 1700 kilometres of the Queensland coastline. Along the way, you get to enjoy and experience Australian natural beauty and more. 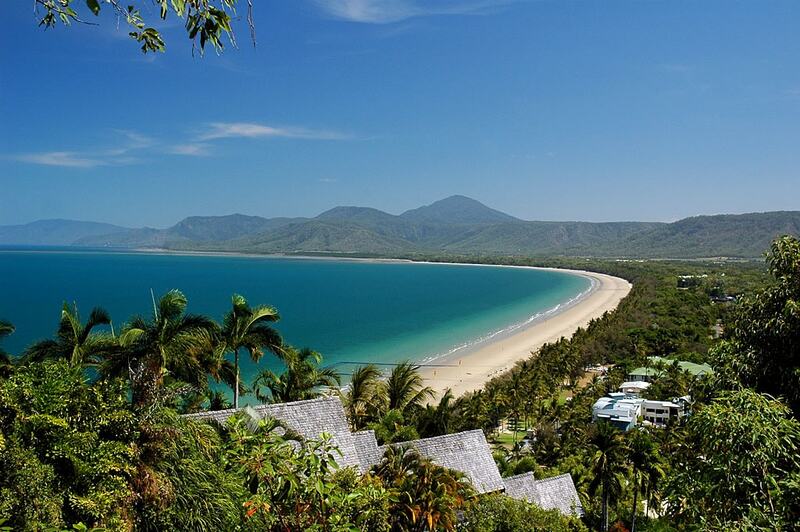 This journey to Port Douglas from Brisbane by road has great spots on the splendid Queensland coast. Brisbane is a major city where you can fully prepare yourself for the road trip as long distance driving requires exceptional vigilance. Below is a guide on how to get to Port Douglas from Brisbane. When driving from Brisbane to Port Douglas, this is a great first destination. 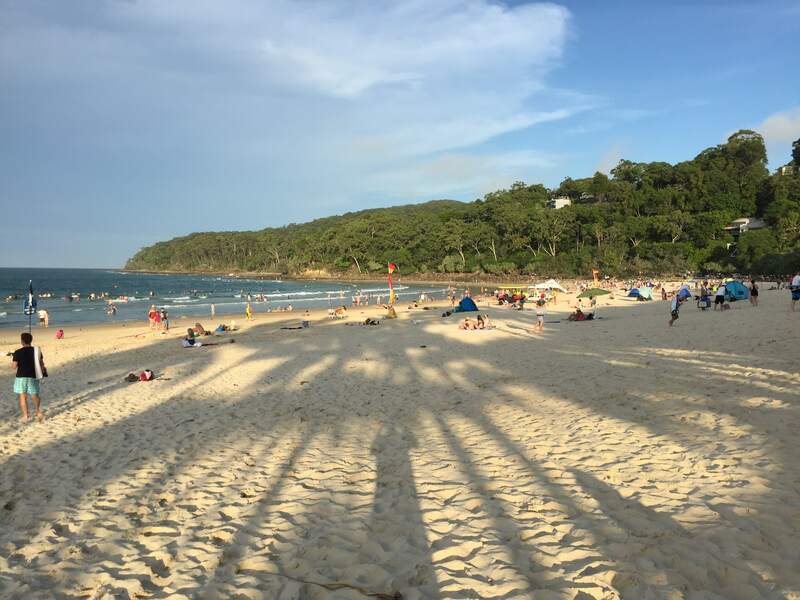 Noosa is a coastal town a few hours from Brisbane famous for surfing. You can enjoy many outdoor activities amidst an impressive climate. From walking in the national park, stand up paddle boarding on the river, perusing the open-air markets to surfing, you cannot run out of ideas of activities that might excite you in Noosa. It also has many great restaurants and bars where you can catch a meal or a pint if you are an alcohol person. Noosa has many quality accommodations to pick from, most only a few minutes to the beach or town. With all that Noosa has to offer, you can stay for a day or two and still not get enough of the place. This is a 2-hour drive from Noosa. Hervey Bay is famous for whale watching. Whale watching can be done best from mid-July to November. For whale viewing, there are many tour companies. 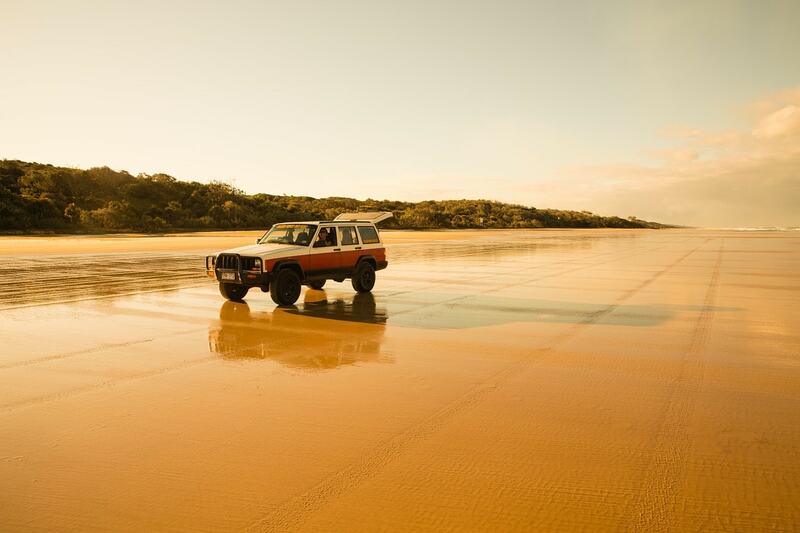 While at Hervey Bay, you should make time to visit Fraser Island, one of the most exceptional islands in the world. It was formed by great wind and oceanic currents that brought a large amount of sand from Antarctica. Today, it is home to diverse natural vegetation and wildlife. It has been managed and preserved splendidly by Queensland authorities. Besides enjoying wildlife and great sceneries, it is a great place for hiking, camping and swimming. You can spend the night at Fraser Island or go back to Hervey Bay. 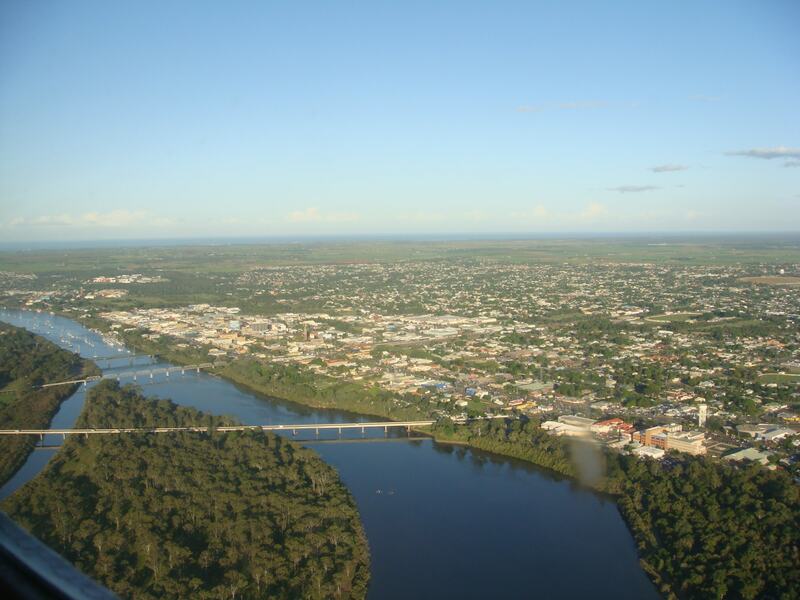 Bundaberg has been home of the legendary Bundaberg Rum for over 100 years. It is only an hour drive from Hervey Bay. It is the southernmost gateway to the great barrier reef. It is flanked by captivating lagoons, coral cays and 87 miles of white beaches. Mon Repos Park is a few minutes drive from Bundaberg. The park is the largest home for nesting sea turtle in Australian mainland. The city is home to museums, lush botanic gardens and heritage buildings that you can take time to enjoy. It has a full pack of great accommodation. SO spending the night can’t be a problem. This is a coastal town known for its peaceful tropical vibe. It is approximately a 4 hours drive from Bundaberg. 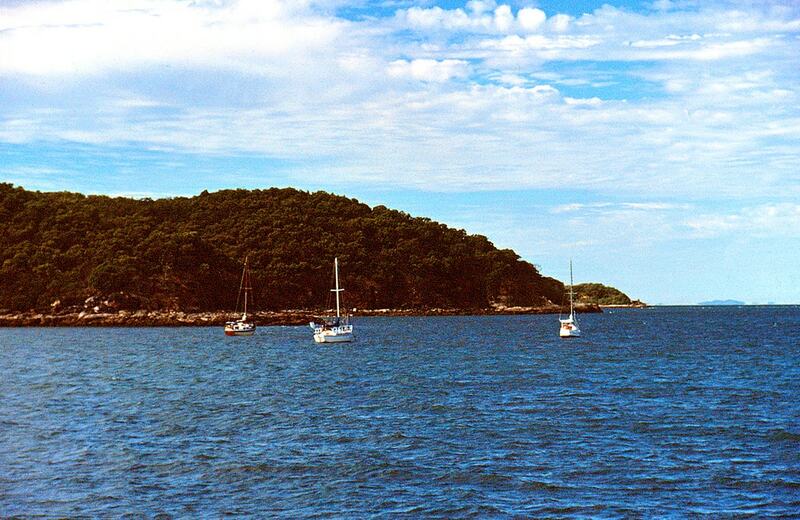 The Great Keppel Island is near the town of Yeppoon. Great Keppel Island is a diverse island. You can spot wildlife while hiking, stay the night, and experience the magical sunsets. Cooberrie Park Wildlife Sanctuary is a part near Yeppoon that takes care of orphaned, injured and sick wildlife. You can interact with crocodiles, kangaroo and more. Capricorn caves are great to visit and get a tour depending on your interests. This is the gateway to Whitsunday Islands. A road trip from Brisbane can be complete if you don’t stop in this picture perfect paradise and get a deal for Whitsunday sailing trip. It is a famous party spot where the fun never stops. Besides sailing, you can visit the Airlie Beach markets, relax at the lagoon, witness cane toad racing, swim at cedar creek falls and more. Townsville is the biggest city in the tropical north of Queensland. 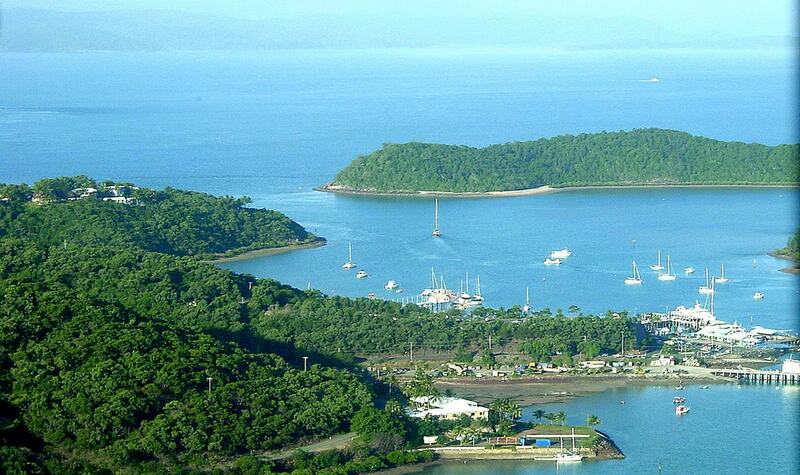 It is located north of Airlie beach. It is a city with a lively and youthful spirit. It has markets that you can visit and do shopping. If you love art, you can visit The Perc Tucker Regional Gallery at the corner of Flinders Street and enjoy exception artwork. 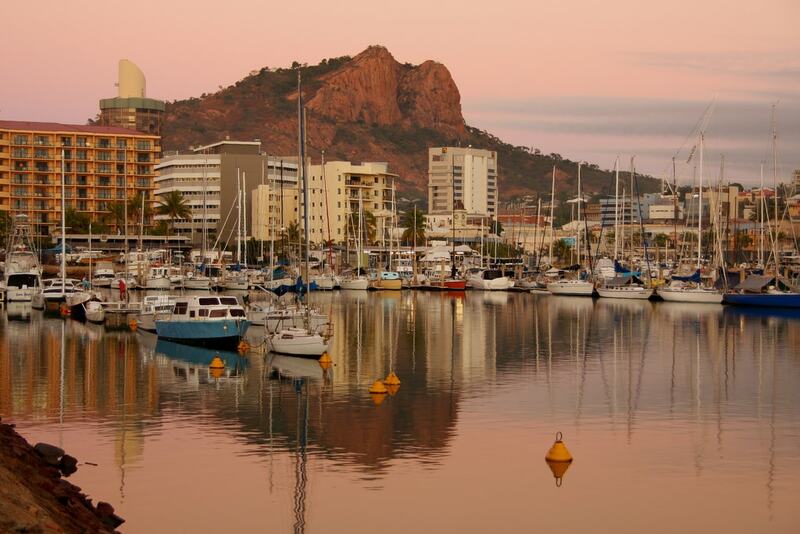 Townsville is a city where you can enjoy a party or downtime depending on your preference. On your road trip to Port Douglas from Brisbane, make a stop at Townsville and enjoy the diversity of the town. Cairns has with warm humid air. It is a wide varied region great for exploring. It is a place with no shortage of activities and attractions. 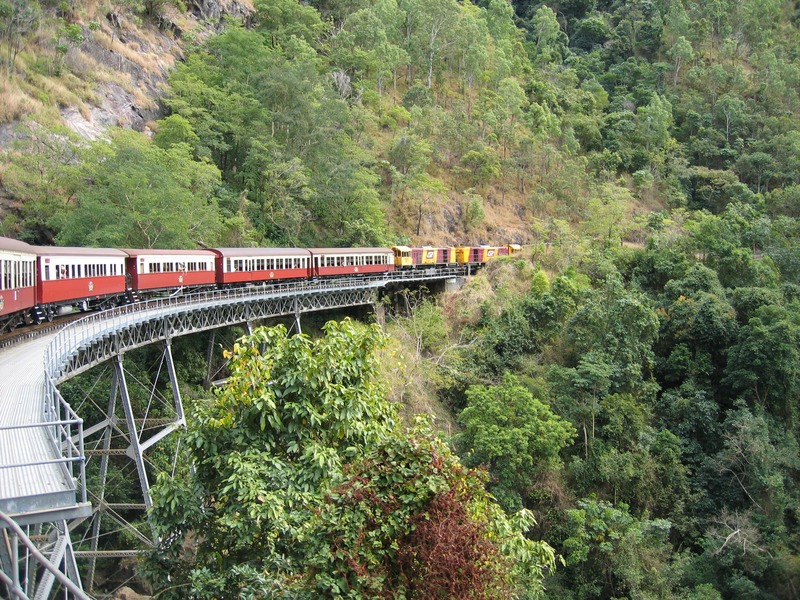 Kuranda Scenic Railway is one of popular attraction in Cairns. You get to enjoy a ride on an old steam engine to Kuranda. The oceanic views are magnificent. You should not leave Cairns without visiting the Great Barrier Reef. This is the ultimate destination in Cairns. With a trip taking less than 45 minutes, you reach the Sandy Islands and coral reefs. 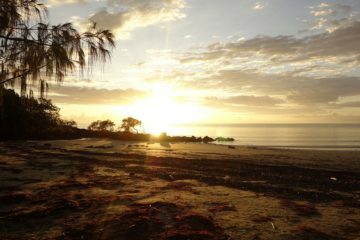 Also, don’t leave cairns before experiencing its white sandy beaches just 10 minutes from the central business centre. It is an hour drive from Cairns. Port Douglas offers a gateway filled with fun activities and opportunities to relax thanks to its proximity to the bustling beach life and the Great Barrier Reef. Daintree rainforest near Port Douglas is arguably the oldest and one of the most scenic rainforests on earth. With many tours to choose from in Port Douglas, you can have the time of your life. In the Daintree rainforest, you will find Mossman Gorge. Mint green waters move past the granite border of the gorge. This creates cool freshwater swimming holes. A long road trip can be refreshing and relaxing. It gives you time to enjoy and appreciate nature while having fun. Driving from Brisbane to Port Douglas offers you a chance to enjoy all the above great spots along the way.